Every detail; from the one of a kind bolt action mechanism to the precision engineered components; was carefully designed to ensure uniqueness and reliability. The realistic bolt-action handle smoothly advances and retracts to securely lock the refill in place. 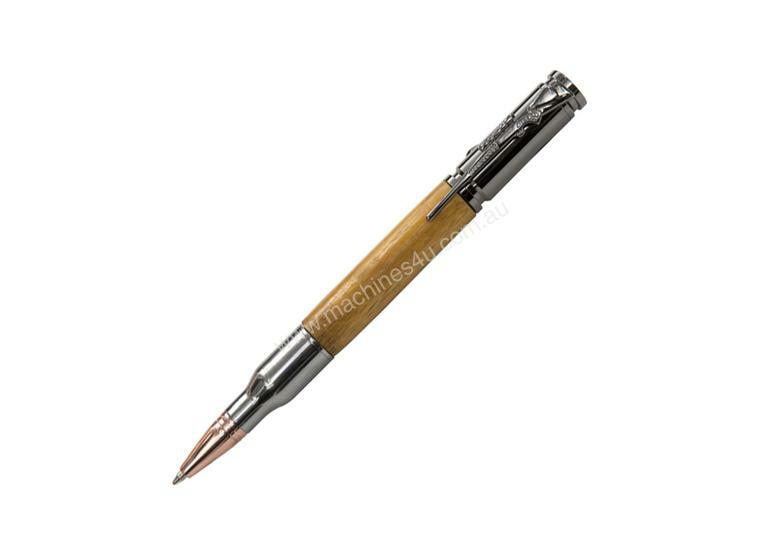 Includes: 1 bolt action rifle clip and a replica 30 caliber cartridge and rose gold bullet tip for added authenticity. Requires 3/8inch Drill Bit. PKCP3000BU Bushing Required.